I’ve been know to lift lines, to steal words from other people’s blog posts and write poems as comments, and leave the poem as a gift from a reader. I admit it. I am thief. That’s what I was doing yesterday morning – lifting lines. I do it as an act of close reading, of paying attention, of remix. I do it to honor the writers, whom I hope won’t be offended when I wrangle a thought and remove it from context, in order to spin something new from their writing. I do it, for myself, to write. Yesterday’s line-lifted poems have now become today’s Slice. I hope you follow the links back to the original posts. Thank you to all the Slice of Life bloggers who didn’t know they were giving me paths to poems. Your thoughts became inadvertent inspiration for me as I rambled around the Slice of Life sharing. a telescope of the larger human experience. set in motion as we wander our imagination. Finally, since we have been talking about Voice and Audio in the Networked Narratives course, I decided to record myself, reading the poems. Nothing fancy here. Just me, reading. This entry was posted in NetNarr, Poetry, Slice of Life. Bookmark the permalink. Honored that you lifted one of my lines. One of my favorite comments… a gift! Amazing!! I loved reading these yesterday and am honored to be one of the posts that gave way to this inspiration. I love that you included the piece of reading the poems aloud. You light the way for possibilities! Thanks Kevin! I always enjoy your lifted lines–they get to the heart of the slice . Thanks for always sharing your gift. You get to the heart of each slice with your poems, Kevin. I will be returning later to listen, too. Our posts are related today. Thank you for the inspiration. Wow, when I wrote that I lifted lines, I had no idea you wrote whole poems for each. I’m honored that you wrote from mine, and love each one, touching and celebrating all this month filled with words “wrangled” from each one’s lives. Beautiful, and a keepsake! You have a wonderful voice for recording, Kevin. Thanks for all! This is amazing. So honored that my post was part of your inspiration. For years I have enjoyed reading your SOL entries. You are creative, daring and original. Always a gift to read your writing. “If you don’t live it, it won’t come out of your horn,” are the words that adorn your blog site. 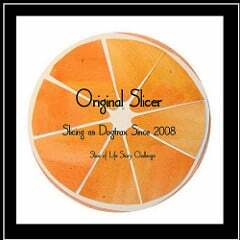 Your horn sounded beautiful today as it echoed the words of fellow Slicers, mine included, with your own variations. If I had to choose, this would be one of my favorite Slices of the March Challenge for the way you weave together our words, set them to your own music, and let them sing out to us! This was such a treat, Kevin. I have always enjoyed and marveled at the poems that you have left on my blog after reading a post. I listened to the poems and now will travel back to the posts. Thank you for this. I think this is my favorite post of the challenge so far. Creative, interesting, responsive, and smart. Awesome! I’m so honored to be part of this, and I actually read most of the posts that you used for inspiration! Thank you, Kevin! What an amazing thing to do. I’m gushing. I have more reading and listening to do from this post. Really, really cool. Really, really wonderful community. Thank you–I know I already said this, but thank you again! I always love, love, love these lifted line poems! A work of art and grace, a gift to all of us. Thanks!